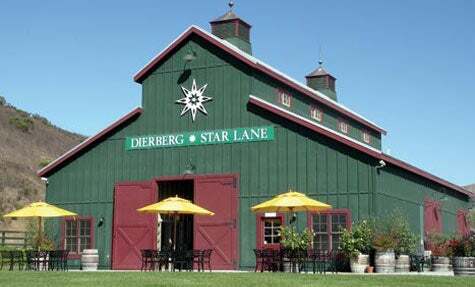 Wines that express the unique terroir of their vineyards are the Dierberg & Star Lane Vineyards signature. The name Dierberg & Star Lane Vineyards clearly speaks to the philosophy that great wines grow in unique vineyards. Founded by Jim and Mary Dierberg, who have owned a Missouri winery since 1974, the two sister brands each express the distinct terroir that nurtures its grapes. The story of the winery began when Jim and Mary found the Star Lane Ranch in 1996. Located at the far eastern end of the Santa Ynez Valley, the 4,000-acre property possesses both the warmest and highest elevation vineyard in the new Happy Canyon appellation. The land's porous mountain soils and proximity to the Pacific coast create a singular terroir, particularly conducive to the growing of Bordeaux varieties. But, as longtime vintners, the Dierbergs couldn't stop there. Recognizing that the general growing conditions in the area are typically well-suited to Pinot Noir and Chardonnay, they also purchased another vineyard site a bit farther northwest and christened it Dierberg. Since then, they have added one more Dierberg vineyard in the relatively new appellation of Santa Rita Hills. Dierberg & Star Lane Vineyards modestly reminds tasting room visitors of its frequent accolades, which include many scores of 90 and above from the likes of Wine Spectator, Vinfolio, and renowned wine critic Robert Parker. The 2006 Dierberg Pinot Noir, for instance, was named by Wine & Spirits magazine as one of the Top 100 Pinot Noirs of the Year, and Food & Wine magazine recently named the 2005 Star Lane Cabernet Sauvignon "The Best New California Cabernet." But visitors are not surprised. Winemaker Nick de Luca, who began his winemaking career with a fortuitous mishap involving a mechanical breakdown at a winery where only he could read the owner's Italian-language manual, signed on to foster both labels in 1994. Nick is now enjoying the new state-of-the-art gravity-based winery--which also includes caves for optimal aging conditions. He looks forward to producing more vintages of wines that express the unique terroir of their vineyards. From the intersection of Hwy 101 and Hwy 246, go west toward Lompoc (6 miles). Turn right on Drum Canyon Rd (1/4 mile). The winery is on the right.